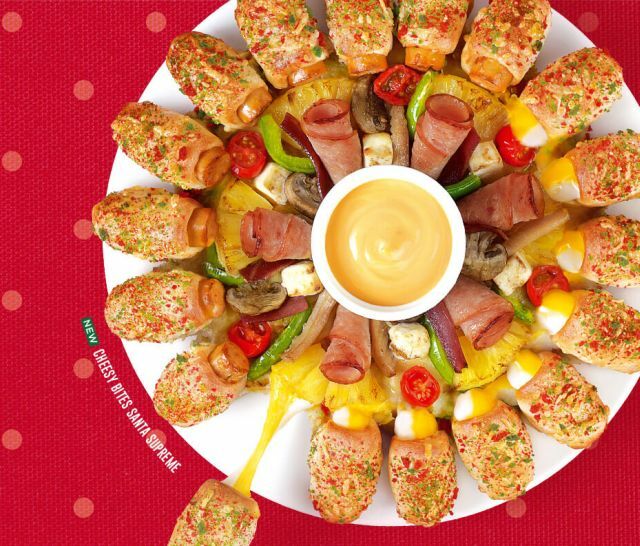 In a holiday newsletter, Arby's gave a few hints about what's coming in 2017, including the return of the Smokehouse Pork Belly sandwich, which was available for a little over a month in 2016, as well as the Venison Sandwich. 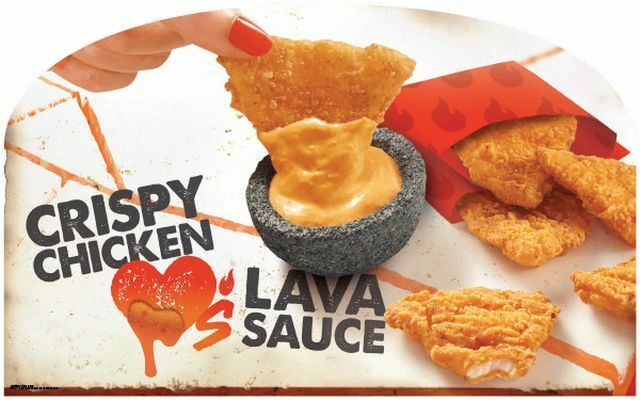 Taco Bell might be angling to bring back Lava sauce (of Volcano menu fame) if the current test of new Volcano Crispy Chicken Chips is any indication. 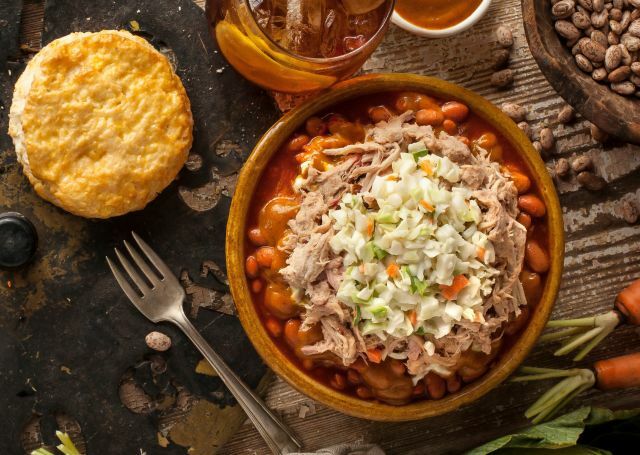 Looking to help you keep warm during the winter, Bojangles introduces the new Pulled Pork Bowl. 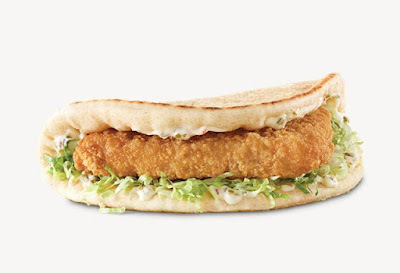 It may seem a bit early but fish sandwiches have made their seasonal return at Arby's. 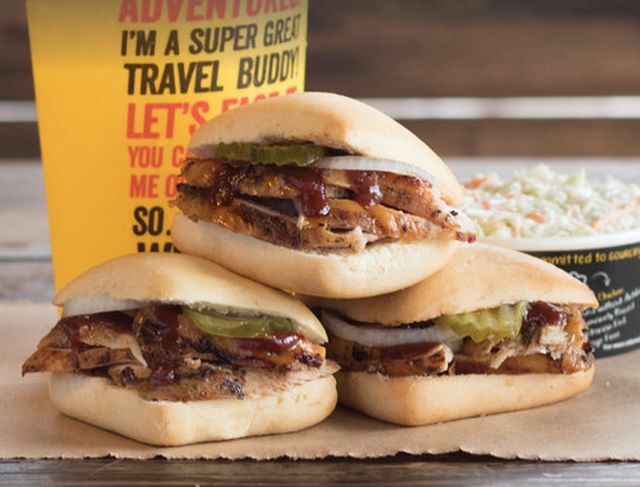 Dickey's Barbecue Pit is offering $2 Chicken Sliders for a limited time as we head into 2017. 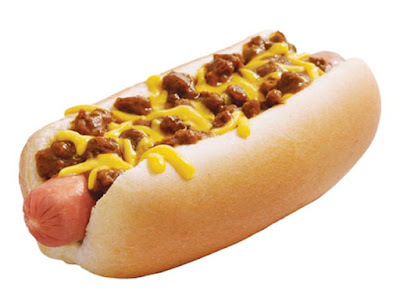 Sonic will be slinging their Chili Cheese Coneys for the entire month of January in 2017 for $1 a piece at participating locations. Taco Bell has been spotted testing an extra-large Chalupa called the "Double Chalupa" in at least a few locations in Wisconsin. 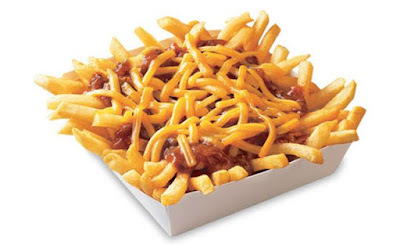 Wienerschnitzel hopes to entice you to enjoying some of their chili cheese fries on New Year's Day by discounting them to 99 cents. 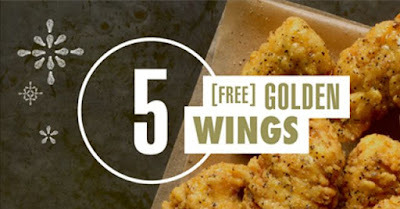 Cajun Wings are back at Popeyes for a limited time and are featured in a special where you can get six wings and buttermilk dressing for $3.99. 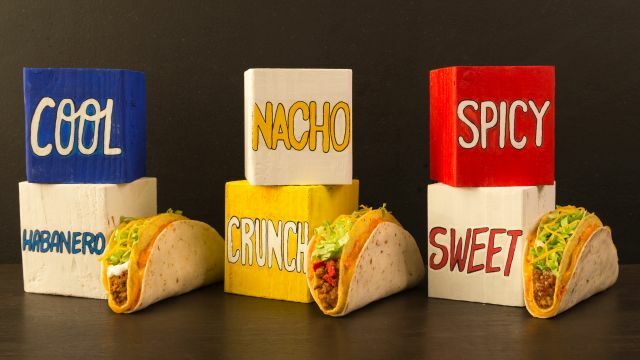 Taco Bell's new Double Stacked Tacos offer three cheesy variants on the Double Decker Taco: Cool Habanero, Nacho Crunch, and Spicy Sweet.. I bought all three for $1 a piece. For a limited time, Wendy's adds the Double Stack hamburger to the available choices for their long-running 4 for $4 meal. 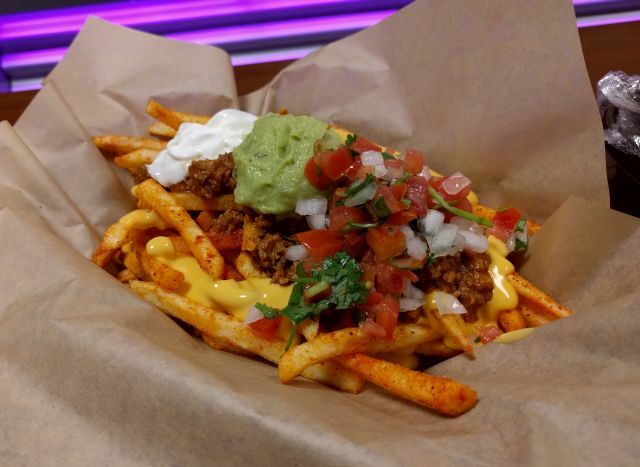 Taco Bell is testing new seasoned French fries in at least one location in Irvine, CA. 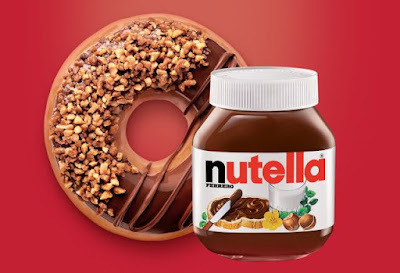 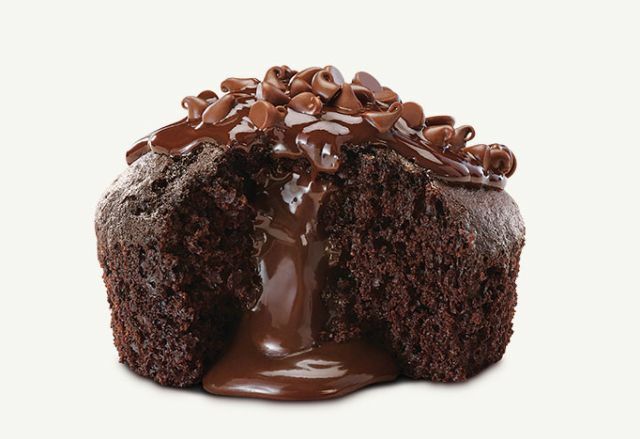 Krispy Kreme's Nutty Cocoa Ring Donut features a yeast ring donut dipped in Nutella hazelnut spread and topped with crunchy hazelnut pieces and a drizzle of chocolate icing. 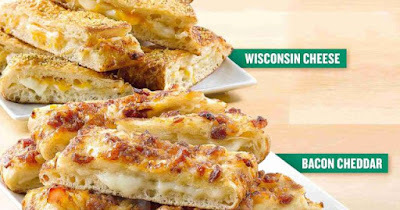 Little Caesars' Pepperoni Stuffed Crust Deep Deep Dish Pizza features Detroit-style deep dish pizza with a cheese and pepperoni stuffed crust along its edges. It also comes topped with pepperoni by default. 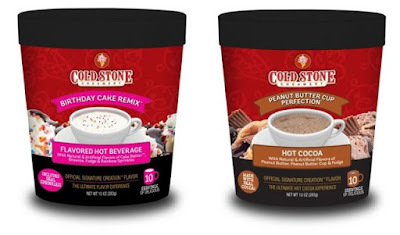 The folks at Haagen-Dazs were kind enough to share their top ten most popular flavors in the US for 2016, including the top ten flavors for various regions of the US. 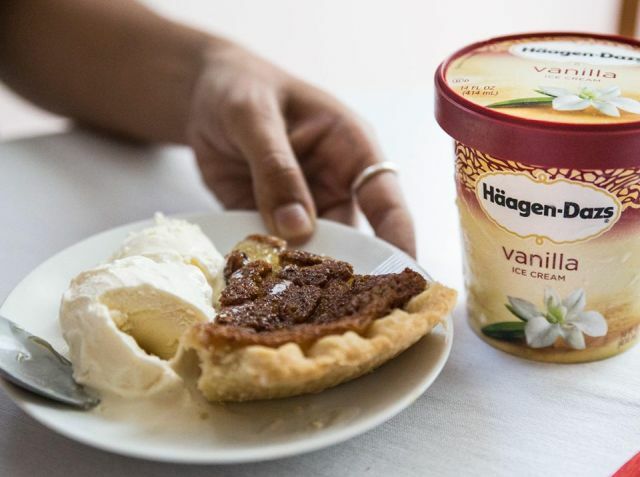 It's probably not a big surprise that vanilla was the best-selling flavor for Haagen-Dazs in 2016 across the board in all but one region. 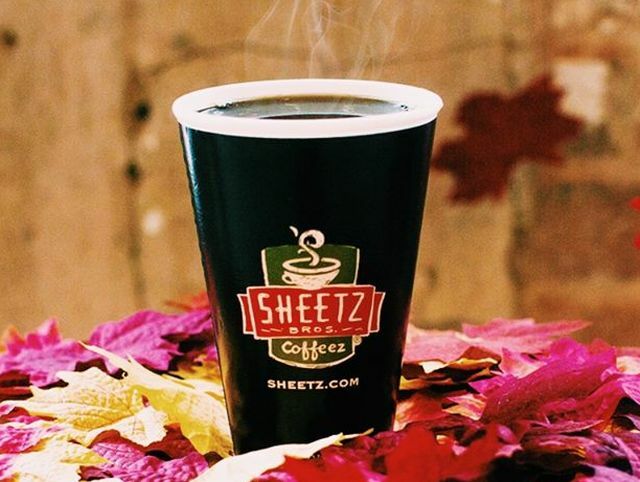 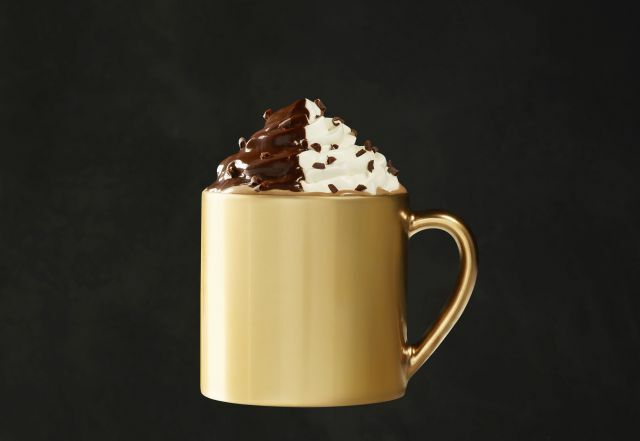 But, interestingly, coffee was #2 rather than chocolate. 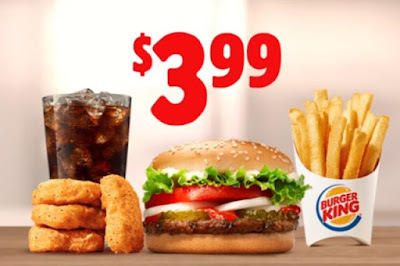 Burger King introduces the new $3.99 Whopper Jr. Meal Deal as their latest combo special. Wingstop is running a promotion tomorrow, Wednesday, December 21, 2016, where you get can get five free boneless wings with any wing purchase from 11 AM to 2 PM local time at participating locations. Wendy's Spicy Sriracha Chicken Sandwich features a Spicy Chicken filet, Sriracha aioli, thick-cut applewood-smoked bacon, a special Sriracha Jack cheese made just for the sandwich, red onion, spring mix, and a toasted Sriracha-infused bun. 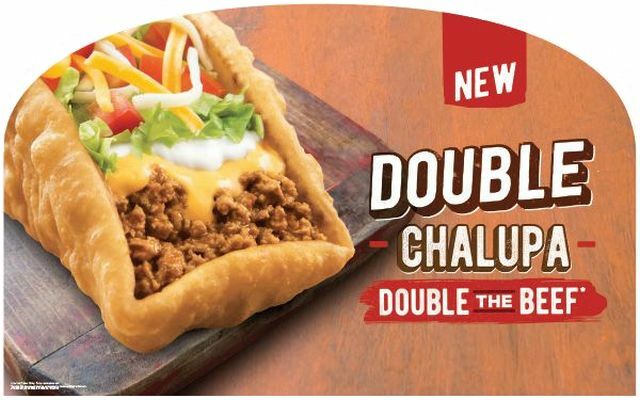 Taco Bell's latest value foray sees the debut of new $1 Double Stacked Tacos on December 22, 2016. Like the Double Decker Taco, the new, limited-time tacos feature both a hard crunchy shell and a soft tortilla. 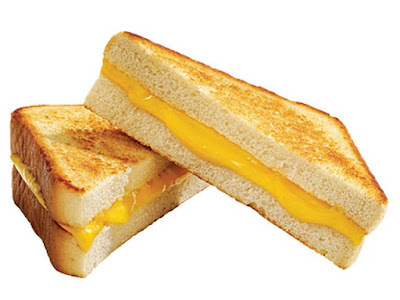 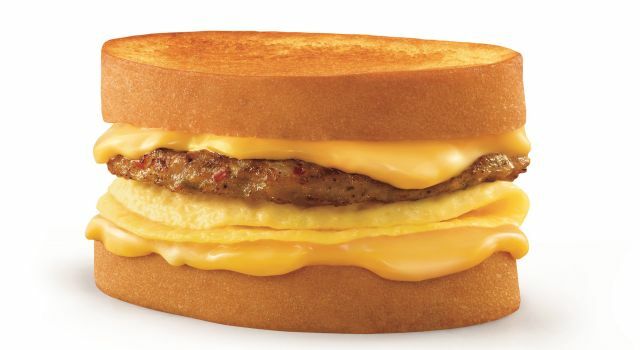 Sonic will be slinging 50-cent Grilled Cheese sandwiches on December 21, 2016 at participating locations. 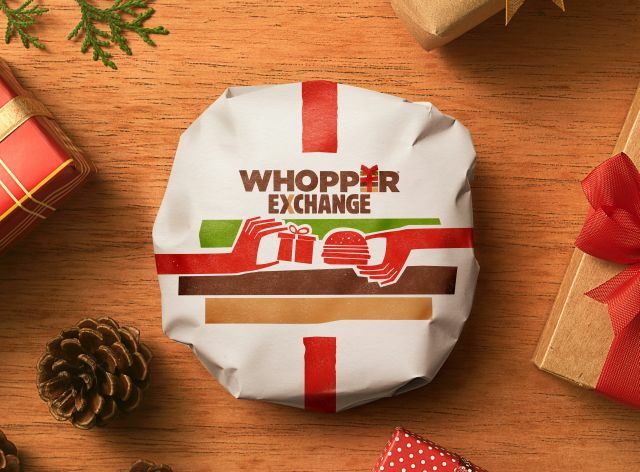 The day after Christmas, Burger King is offering to swap you a Whopper in exchange for an unwanted present at one location in Miami Beach, Florida (the chain is headquartered in Miami). 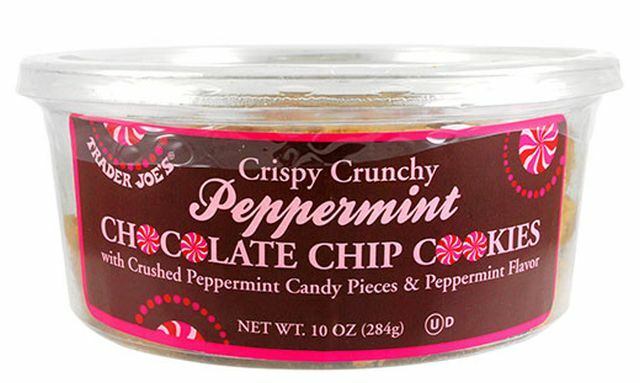 Trader Joe's expands their selection of crispy mini cookies this holiday season with the introduction of new Crispy Crunchy Peppermint Chocolate Chip Cookies in 10-oz tubs. 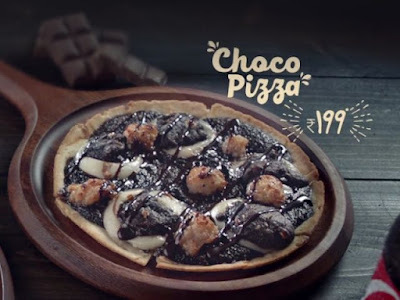 Domino's unveils their first dessert pizza for India with the release of the new Choco Pizza, a somewhat jumbled pizza that lists brownies, cookies, and cheesecake among its toppings. 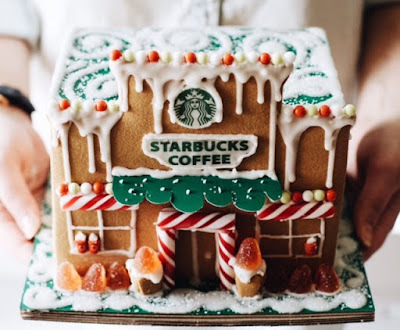 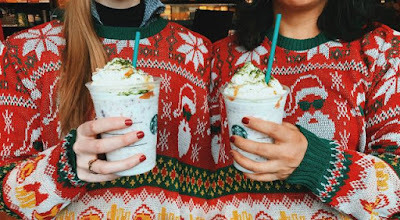 Starbucks' Fruitcake Frappuccino features a Hazelnut Creme Frappuccino base blended with dried fruit and cinnamon, then topped with whipped cream, a matcha sprinkle, and caramel sauce. 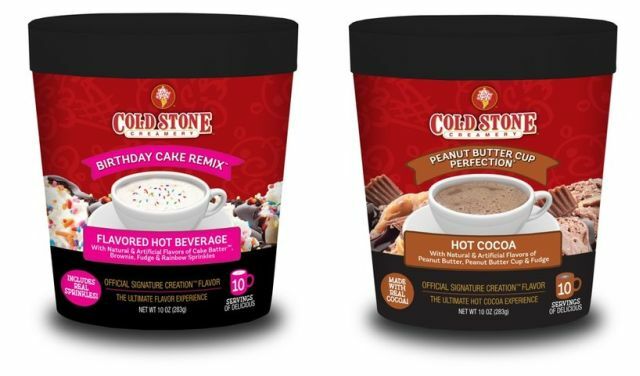 The year's not quite over but Ben & Jerry's has already released a list of their ten best-selling ice cream flavors for 2016 with Half Baked once again sitting on top of the heap. Starbucks looks to offer the flavor of an infamous holiday dessert with the debut of the new Fruitcake Frappuccino. 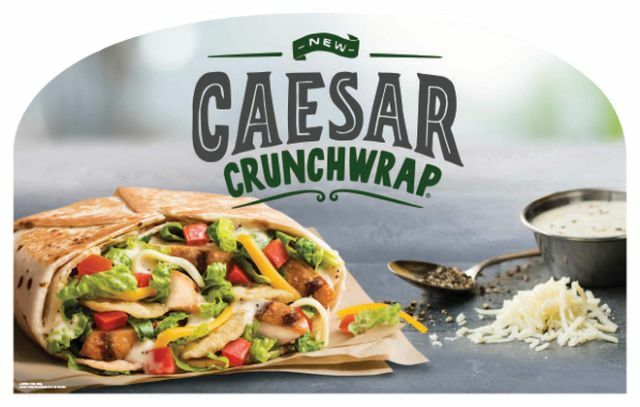 Checkers and Rally's latest special menu item is the new A.1. 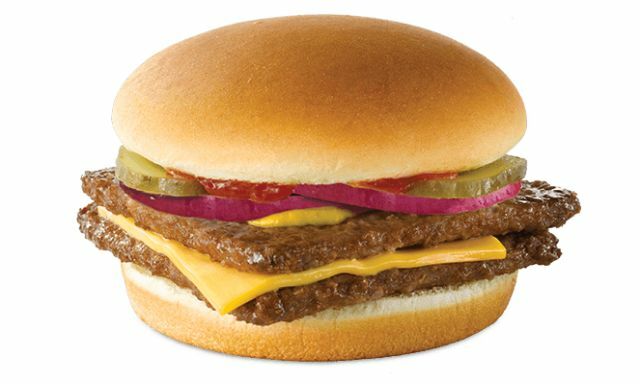 Buttery Steak Burger featuring new A.1.-infused steak butter. 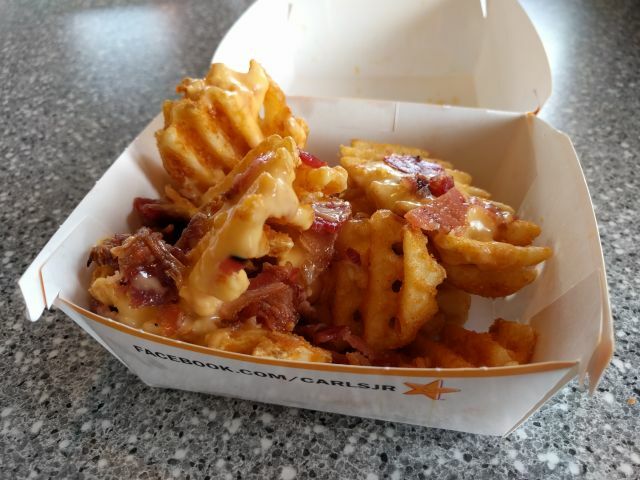 Carl's Jr.'s Budweiser Beer Cheese Fries features criss-cut fries topped with Budweiser beer cheese sauce and crumbled bacon. 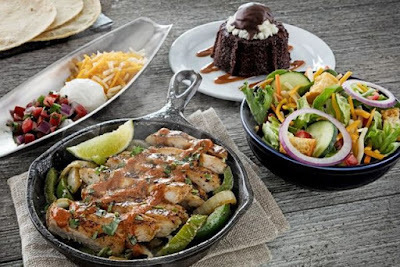 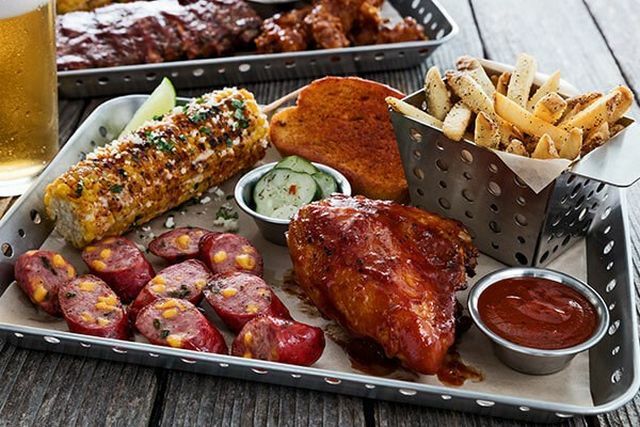 Chili's adds to their barbecue selection with new Smokehouse Combo meals. Along with the new meals, the casual dining chain has also added to their barbecue meat selection with new smoked bone-in barbecue chicken breast and new jalapeno-cheddar smoked sausage. 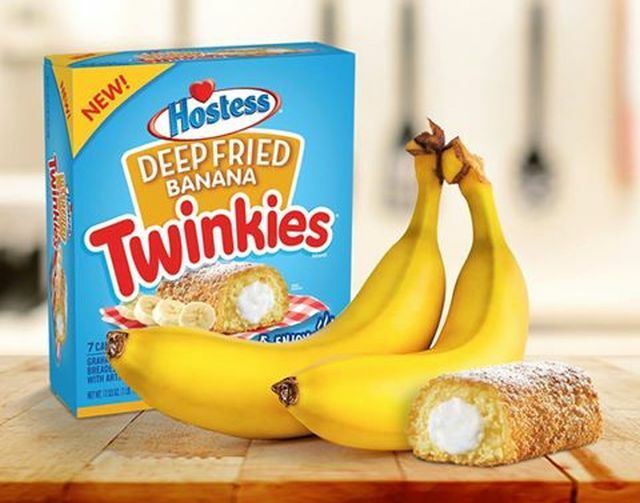 Hostess adds to their line of frozen Deep-Fried Twinkies with a new banana flavor just in time for the holidays. 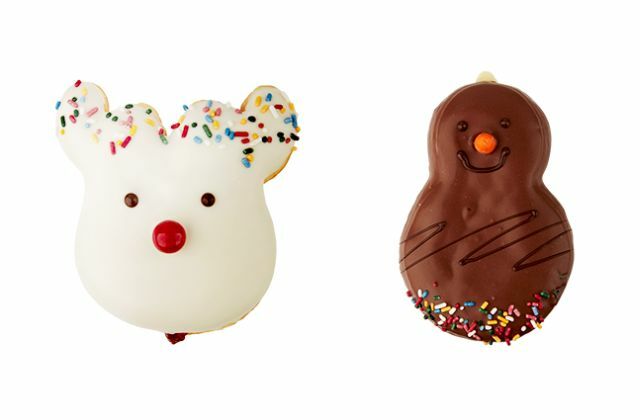 Kit Kat Mint Miniatures are a holiday flavor that feature the same crisp wafers but covered in dark chocolate coupled with mint flavor rather than milk chocolate. 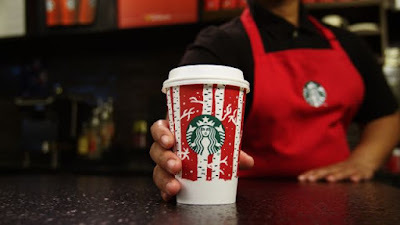 Starbucks will expand their gluten-free selection in 2017 with the introduction of new Sous Vide Egg Bites and a Certified Gluten-Free Breakfast Sandwich. Pizza Hut Singapore's new festive Cheesy Bites Santa Supreme features Cheesy Bites sprinkled with red and green parmesan-flavored breadcrumbs. 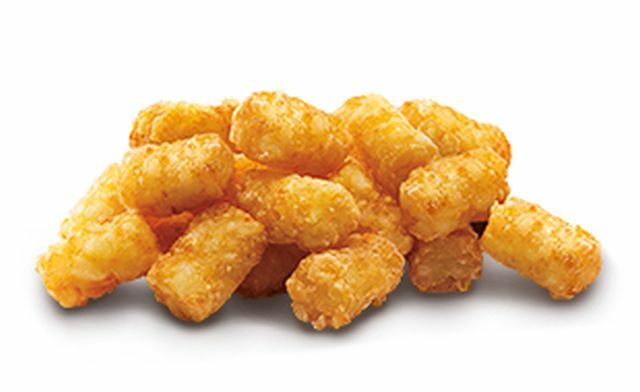 McDonald's is serving tater tots with Big Mac Special Sauce for dipping as part of a new Summer Sides Box in Australia (where it's currently summer being in the Southern hemisphere and all).